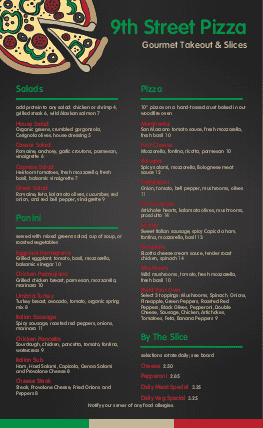 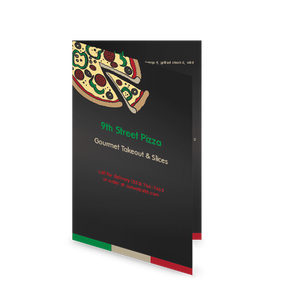 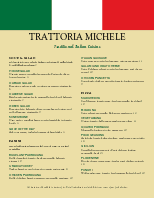 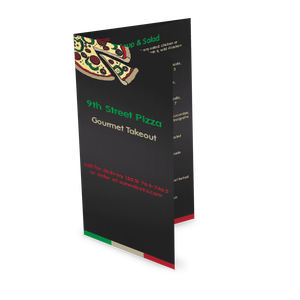 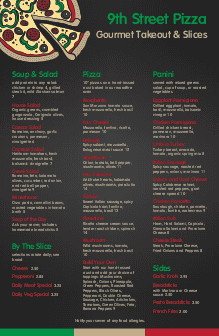 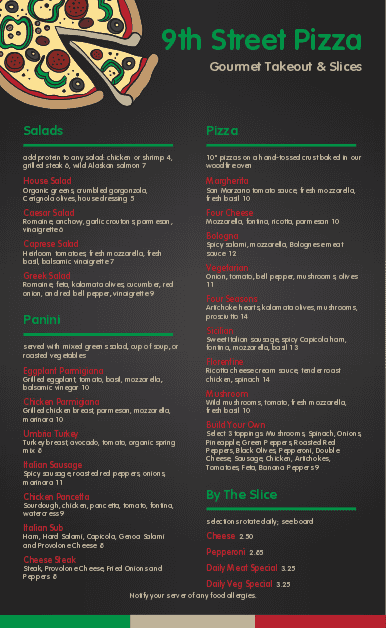 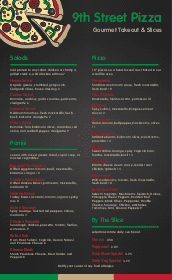 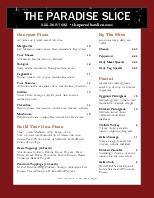 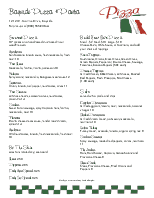 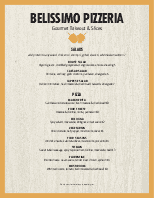 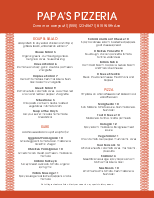 A casual Family Pizza menu template with a black background and red and green accents. 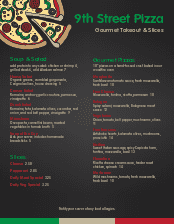 A tasty looking pizza drawing highlights the restaurant name at the top left. 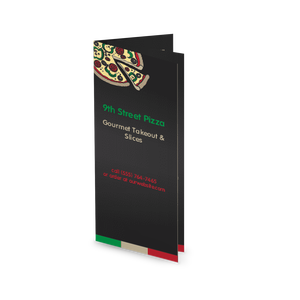 Customize this pizza design for your restaurant in the online Menu Maker.